Alaves have scored in each of their last 5 away matches in La Liga. Alaves have scored 35% of their goals after the 75th minute in La Liga. Leganes have conceded the opening goal in 75% of their matches in La Liga. Alaves have scored in each of their last 10 matches in La Liga. 71% of Alaves’s goals have been scored in the second half in La Liga. Saint-Etienne have scored in each of their last 8 matches in Ligue 1. 74% of Saint-Etienne’s points have been earned at home in Ligue 1. AC Ajaccio conceded at least 1 goal in 71% of their home matches in Ligue 2. Nancy have failed to win in their last 7 home matches in Ligue 2. Brest have been undefeated in their last 10 matches in Ligue 2. Nancy conceded at least 1 goal in 86% of their home matches in Ligue 2. Nancy have failed to score in 86% of their home matches in Ligue 2. AC Ajaccio have conceded 2 goals or more in each of their last 5 matches in Ligue 2. Clermont did not concede any goal in 67% of their away matches in Ligue 2. Nancy have failed to win in their last 6 matches in Ligue 2. Brest have scored in each of their last 10 matches in Ligue 2. AC Ajaccio have failed to score in 43% of their home matches in Ligue 2. Brest conceded at least 1 goal in each of their last 8 matches in Ligue 2. Brest have scored in 83% of their away matches in Ligue 2. 87% of Brest’s conceded goals occured in the first half in Ligue 2. Brest have been undefeated in their last 4 away matches in Ligue 2. Nancy have lost 86% of their home matches in Ligue 2. 67% of Red Star’s points have been earned at home in Ligue 2. Brest have scored 2 goals or more in each of their last 4 away matches in Ligue 2. Nancy have lost 79% of their matches in Ligue 2. 64% of Red Star’s conceded goals were conceded at home in Ligue 2. 27% of Brest’s conceded goals occurred in the first 15 minutes in Ligue 2. 79% of Paris FC’s matches had under 2.5 goals in Ligue 2. Paris FC did not concede any goal in 83% of their home matches in Ligue 2. 67% of Paris FC’s points have been earned at home in Ligue 2. Nancy have conceded the opening goal in 71% of their matches in Ligue 2. Red Star have scored 40% of their goals after the 75th minute in Ligue 2. Niort have scored in 100% of their home matches in Ligue 2. 90% of Paris FC’s conceded goals were conceded away in Ligue 2. Le Havre did not concede any goal in 57% of their away matches in Ligue 2. Nancy have scored 80% of their goals away in Ligue 2. 31% of Niort’s conceded goals occurred after the 75th minute in Ligue 2. Chateauroux did not concede any goal in 57% of their away matches in Ligue 2. Le Havre have scored 71% of their goals at home in Ligue 2. 80% of Nancy’s points have been earned away in Ligue 2. Chateauroux have scored 73% of their goals at home in Ligue 2. Orleans have failed to score in 43% of their home matches in Ligue 2. Brest have won 67% of their away matches in Ligue 2. 64% of Le Havre’s conceded goals were conceded at home in Ligue 2. 73% of Leverkusen’s matches had over 2.5 goals scored in Bundesliga. Leverkusen have conceded 2 goals or more in each of their last 4 matches in Bundesliga. Stuttgart have conceded the opening goal in 73% of their matches in Bundesliga. Leverkusen have conceded 2 goals or more in each of their last 3 home matches in Bundesliga. 75% of Stuttgart’s goals have been scored in the second half in Bundesliga. Magdeburg have lost their last 4 matches in II Bundesliga. Bielefeld have failed to win in their last 6 matches in II Bundesliga. 38% of Magdeburg’s conceded goals occurred after the 75th minute in II Bundesliga. Bielefeld conceded at least 1 goal in each of their last 8 matches in II Bundesliga. Greuther Fürth conceded at least 1 goal in 83% of their home matches in II Bundesliga. Bielefeld have lost their last 3 home matches in II Bundesliga. Greuther Fürth have conceded 2 goals or more in each of their last 4 matches in II Bundesliga. 75% of Magdeburg’s goals have been scored in the second half in II Bundesliga. Bielefeld conceded at least 1 goal in 100% of their home matches in II Bundesliga. Greuther Fürth have drawn their last 3 home matches in II Bundesliga. Bielefeld have scored in 100% of their home matches in II Bundesliga. Bielefeld have scored 75% of their goals at home in II Bundesliga. 62% of Bielefeld’s conceded goals were conceded at home in II Bundesliga. Bielefeld conceded at least 1 goal in each of their last 6 home matches in II Bundesliga. Vejle BK conceded at least 1 goal in 88% of their home matches in Superligaen. Aalborg BK have failed to win in their last 6 matches in Superligaen. 73% of Vejle BK’s points have been earned at home in Superligaen. Aalborg BK have scored 33% of their goals after the 75th minute in Superligaen. Vejle BK have scored 79% of their goals at home in Superligaen. Aalborg BK have scored in 75% of their away matches in Superligaen. 62% of Aalborg BK’s points have been earned away in Superligaen. Aalborg BK have scored 67% of their goals away in Superligaen. 72% of Aalborg BK’s goals have been scored in the second half in Superligaen. Aalborg BK have been undefeated in their last 6 away matches in Superligaen. Ipswich Town have scored 29% of their goals in the first 15 minutes in Championship. West Bromwich conceded at least 1 goal in each of their last 8 matches in Championship. Ipswich Town have failed to win in their last 8 home matches in Championship. Ipswich Town have scored 71% of their goals in the first half in Championship. 68% of West Bromwich’s points have been earned at home in Championship. Ipswich Town conceded at least 1 goal in 88% of their home matches in Championship. 76% of West Bromwich’s goals have been scored in the second half in Championship. Ipswich Town conceded at least 1 goal in each of their last 8 matches in Championship. West Bromwich have scored 35% of their goals after the 75th minute in Championship. 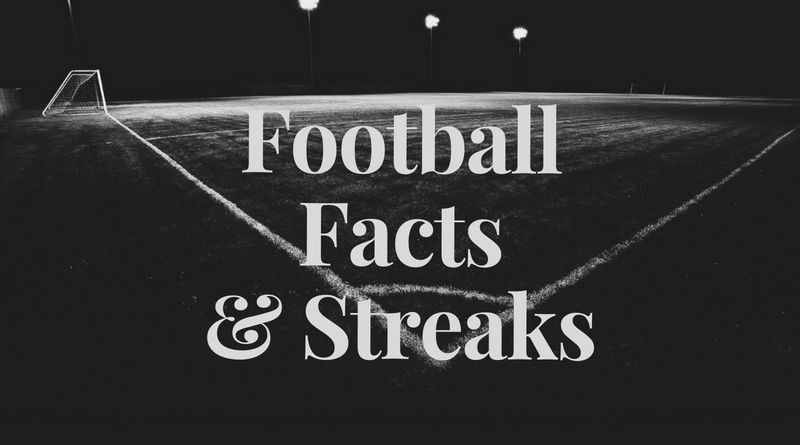 Hellas Verona conceded at least 1 goal in each of their last 10 matches in Serie B.
Palermo have scored in each of their last 10 matches in Serie B.
Hellas Verona conceded at least 1 goal in each of their last 6 home matches in Serie B. 73% of Palermo’s matches had over 2.5 goals scored in Serie B. 71% of Palermo’s goals have been scored in the second half in Serie B.
Palermo have scored 43% of their goals after the 75th minute in Serie B. 33% of Palermo’s conceded goals occurred after the 75th minute in Serie B.